1. Move point C to change slope of parallel lines. 2. Move point D to change position of parallel lines. 3. 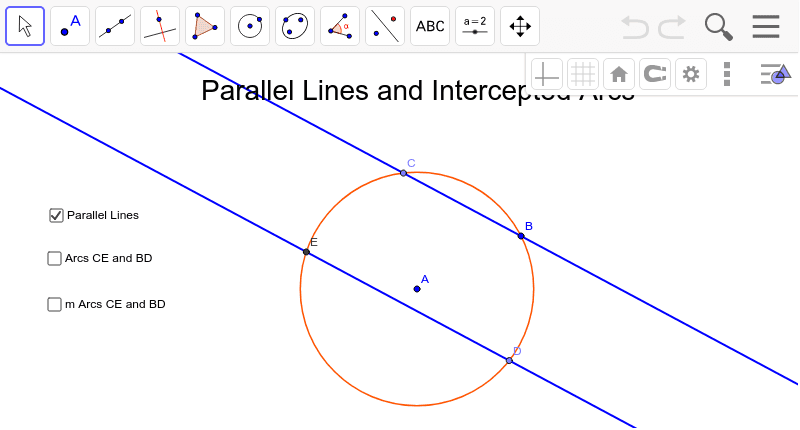 Click boxes to explore relationship between arcs intercepted by parallel lines.